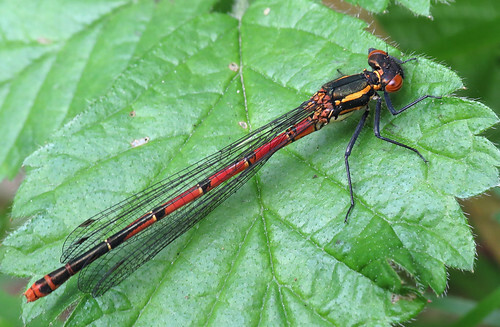 The final two weeks of April saw Large Red Damselfly Pyrrhosoma nymphula on the wing almost daily at Tophill Low NR, East Yorkshire. Following a site record equalling earliest sighting occurring on April 15th, hopes were high of a great start to the 2017 season, but cold weather during the latter part of month kept numbers, and species diversity, to a minimum. Winds of an easterly orientation over the final weekend of the month turned up a few site rare and scarce birds. News on these can be found here on the Tophill Low blog and twitter feed, but many other site rarities and scarcities were also recorded. 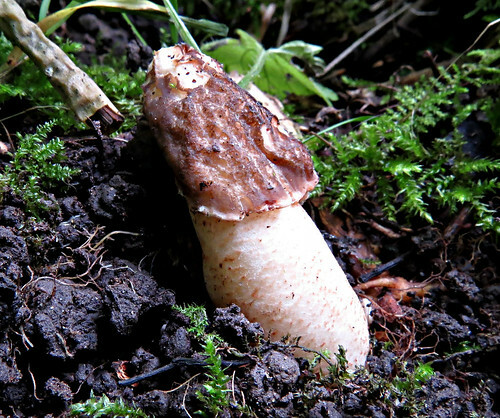 The most recent site record of Thimble Morel Verpa conica occurred in May 2012, but finally after five years of further searching, the species is still present on site, with a small number noted on the April 29th. The species is rarely recorded, this probably the sixth or seventh record since the site was created in 1959, despite it being widespread across the country. 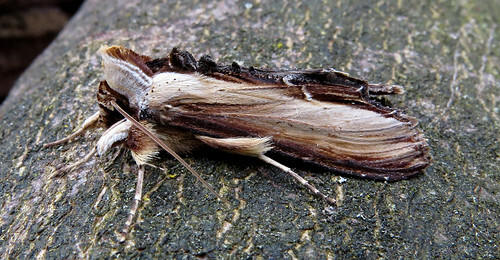 The cool temperatures also meant poor moth numbers, but there are always surprises. 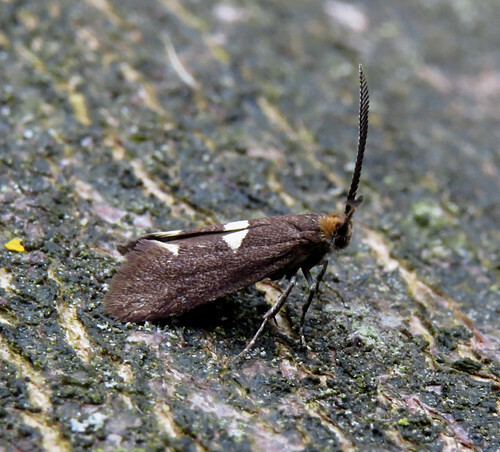 Incurvaria masculella is a scarce and thinly distributed species across Yorkshire. Recorded in 2013 and 2016, Tophill’s third was found on the 29th. 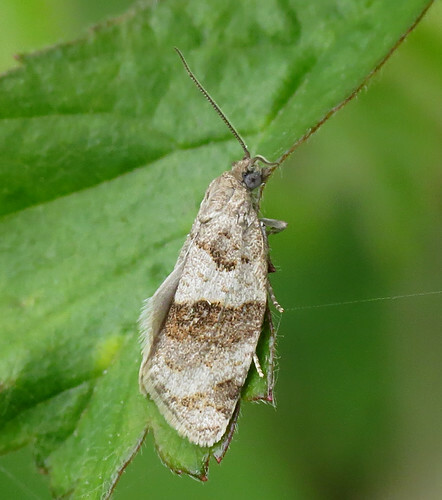 The Tophill Low moth trapping project commenced in 1992, with sporadic ad-hoc records prior to this – two species rarely noted over this period appeared at light on April 28th. 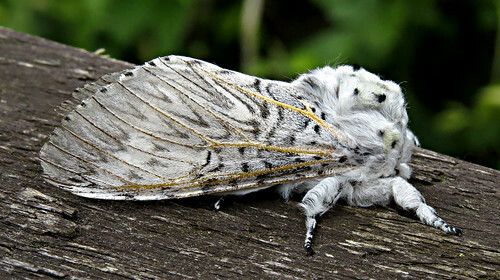 Two Mullein Cucullia verbasci took the site tally to six individuals following three on one night in 2016 and a single in 2001, while a Puss Moth Cerura vinula was only the sixth since 2004, and the seventh since 1979. Syndemis musculana has been recorded on site annually since 2011, with the 9th and 10th records both occurring on April 29th. 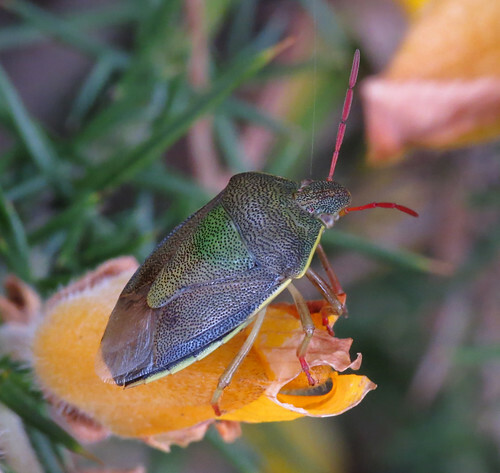 With a lack of suitable habitat on site, Gorse Shieldbug Piezodorus lituratus will always remain scarce. However, careful searching on the 29th revealed the highest day total in site history.